Everything about this book appealed to me, from the premise and blurb to the cover. 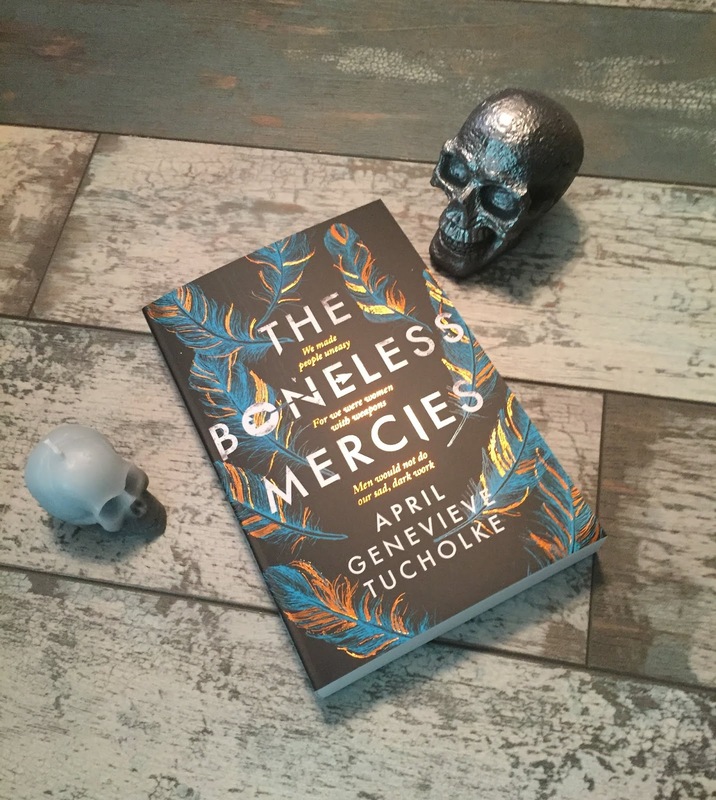 The Boneless Mercies is the perfect read for this dark and spooky season and one that I'd reread at any time. I love an ensemble cast done well and the girls won me over immediately. Each were distinct, with their own rich characteristics and back stories, and I enjoyed their interactions as well. Frey is an interesting, multi-faceted main character with strength and agency. I'm hoping for a sequel to see what she does next! The mythology and world-building in this book are exceptional. There is a timeless quality to the writing that suited the fantastical subject matter and I'd happily read a whole book of myths from the world of the Boneless Mercies. I was a huge fan of Slasher Girls and Monster Boys (edited and featuring a story by April Genevieve Tucholke). April's writing is creative, unique and delightfully dark. I adored The Boneless Mercies and I'm excited to see what April writes next. Thank you so much Simon & Schuster for the book.